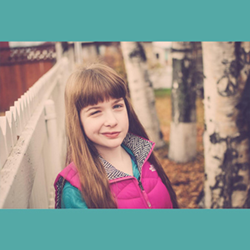 Devery Prince Insurance of Anchorage, AK once again demonstrates their commitment to operate as Agents of Change in their community by introducing a new charity campaign on behalf a young local girl with TSC, a linchpin genetic disorder. All funds raised will go to ‘Keys to the Cure’ and the Tuberous Sclerosis Alliance support community. We couldn’t be prouder to support Caitlin and the Racenet family’s fundraiser for the TS Alliance. They are a truly compassionate organization working hard to help these beleaguered patients and their families navigate this horrific disease. Devery Prince Insurance unveils another remarkable charity campaign in their effort to support local families with a community enrichment program serving Anchorage, Wasilla, and surrounding communities. The latest initiative supports ‘Keys to the Cure’ and the Tuberous Sclerosis Alliance support community on behalf of Caitlin Racenet, a 10 year old local girl who has suffered from Tuberous Sclerosis Complex (TSC) since the age of 1. Donations to this worthy initiative are now being accepted at: http://giving.tsalliance.org/site/TR?px=1087858&fr_id=1160&pg=personal. Caitlin has lived with TSC virtually her entire life, suffering severe daily seizures caused by the number of tumors in her brain. TSC is a genetic disorder which causes non-malignant tumors to form in numerous organs, primarily the brain, eyes, heart, kidney, skin and lungs. In addition to seizures, TSC can instigate facial disfigurement, developmental delay, intellectual disability and autism. It’s recently been determined to be a linchpin disease, as it has been for Caitlin, triggering over a dozen major diseases including autism, epilepsy, cancer, obesity and more. Caitlin currently receives 11 different medications to control her many conditions, not all of which are mentioned here. The Tuberous Sclerosis Alliance is the leading advocate and patient resource for those battling TSC. The dedicated team at Devery Prince Insurance has created an online social media network and email awareness campaign to promote the initiative for the TS Alliance, as well as having featured it in their monthly magazine. Our Hometown is a print and digital publication which is delivered to thousands of households in Anchorage, Wasilla and surrounding communities. The electronic Flipbook version of the current issue may be viewed here: http://www.deveryprinceagency.com/Our-Hometown-Magazine_43. To make it even easier for everyone to pitch in and help, the agency itself has pledged to donate $10 for each and every recommendation they receive for an insurance quote, with no purchase necessary. To view the campaign, recommend friends and/or make a personal donation, readers may visit: http://www.deveryprinceagency.com/Lets-Help-Caitlin-Fight-TSC_25_blog. Devery Prince Insurance has invited concerned community members to submit ideas for future charity initiatives at: http://www.deveryprinceagency.com/Submit-A-Community-Cause-Idea_49. Information on all past Community Causes may be found at: http://www.deveryprinceagency.com/community-cause. To learn more about the agency, their Agents of Change movement and the products and services they offer, please visit: http://www.deveryprinceagency.com/. A full service insurance firm serving families from offices in Anchorage and Wasilla, Devery Prince Insurance has one simple mission: to provide the finest insurance and financial services in the industry, while delivering consistently superior service. The primary focus of Prince and his team of dedicated professionals is to protect all the things which are most important to their clients (their families, homes, cars and more), and in helping to prepare long-term strategies to enable financial success. Their dedicated agents may be reached by calling 907-279-9000 (Anchorage) or 907-746-9000 (Wasilla).